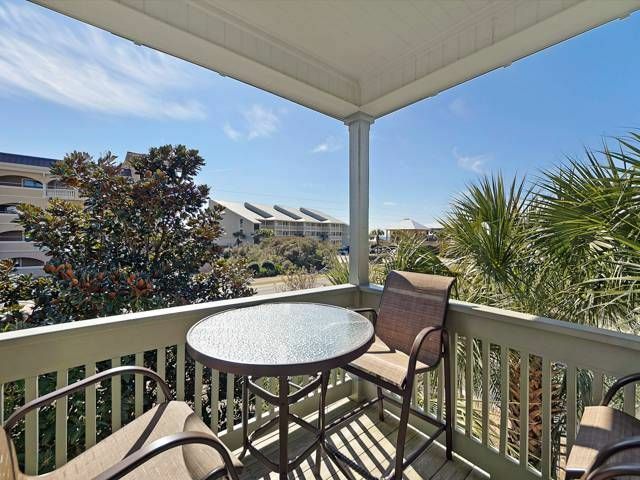 Tastefully Decorated Duplex ~ Corner Balcony ~ Seacrest Beach! This Vacation Rental Duplex is a Family Rental only. Escape to this comfortable 3 bedroom 3 bath duplex in Seacrest Beach, perfectly placed on Scenic 30A, between Seaside and Rosemary Beach. This duplex sleeps up to 8 guest with master king suite, queen bedroom located on the first floor, queen bedroom and queen sofa sleeper on the second floor. The kitchen, living and dining area make up the large open central section on the second floor, nice for family time. Enjoy the gulf breeze or eating alfresco on the covered balcony. Access to the beach is just a short walk across 30A. The community pool and bike trails are just steps away from your door. Charming accommodations at a great price. do not miss out on this great deal. * Two (2) designated parking spaces. Overall we were very happy with this condo. Very clean, modern and comfortable. 30-A is a busy road to cross to get to the beach, but we were close enough to not be overly concerned about waiting for traffic. If you use the cross walks, traffic will usually stop for you. My only very small complaints about the condo were that it had no salt and pepper in the kitchen, I know this sounds silly but it is not something you think to pick up when buying a few groceries. And there was one roll of TP in each bathroom. Again, i expected there to be a few spare rolls, but there wasn't. Pretty minor things if you are better prepared than I was. And if prepared, you will love this condo. We had a great stay. The duplex was just as pictured and was very clean and comfortable. Accommodated my family very easily (three adults and one child with two additional adult family members joining for two days out of our one week stay). I was a little nervous with my sixteen month old and the stairs since there wasn't a gate, but we just watched her like a hawk when we were upstairs and she was fine (also she loved climbing up the steps!). Kitchen was well appointed and had everything we needed. The only issue was the house phone upstairs kept ringing a few times one day but when I answered it all I heard was static (it was a pretty old phone). I think it could have been the management company calling me back because it took me and my mom awhile to figure out how to turn on the shower in the downstairs hallway bathroom-- I called (using my cellphone) to ask sheepishly how to do it but then we figured it out-- pull down on the tub faucet :-). Anyway, I assume it was the rental management company calling me back but I think was the phone was so old it didn't work well. But a very minor issue in a great rental. Definitely liked the area as it was quieter than some other areas on 30A, beach access was super close to unit, and everyone we met was super friendly. Great place! This is a very cute and comfortable house. Comfortably kept 6 adults and 3 babies, 2 and under. Pictures don't do it justice. Nice new carpet, nice sized kitchen and den. Quick walk to the beach, right across 30A. Pool is convenient, clean and well maintained. Be prepared for 60 steps down to the beach, however.